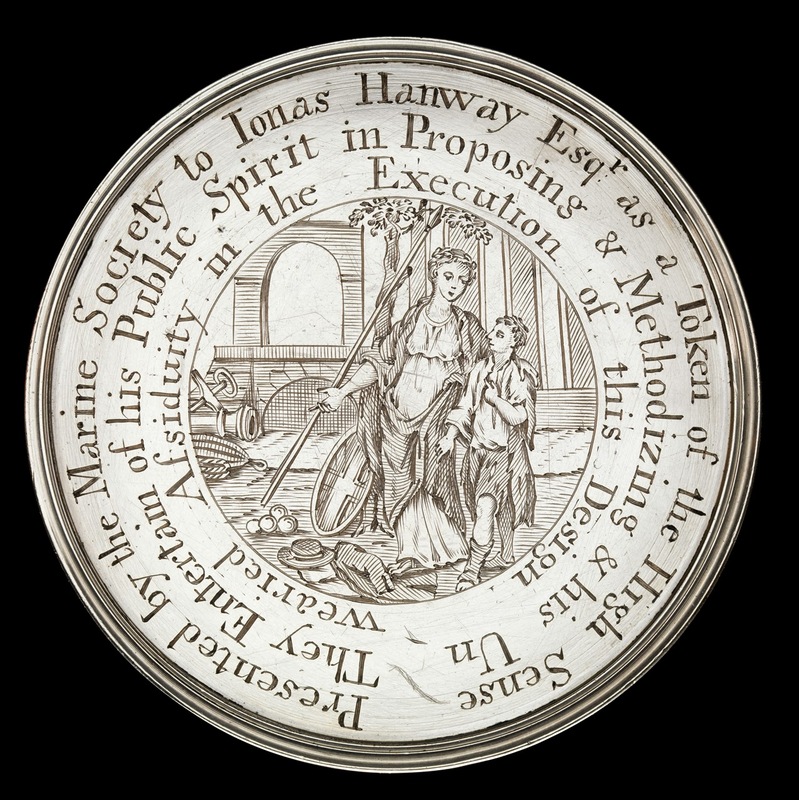 Commemorative Medal awarded to Jonas Hanway by the Marine Society, 1769, National Maritime Museum. This pure silver medal was given as "a token of the high sense" the Marine Society held John Hanway in for his efforts to clothe and train youths in the Royal Navy. 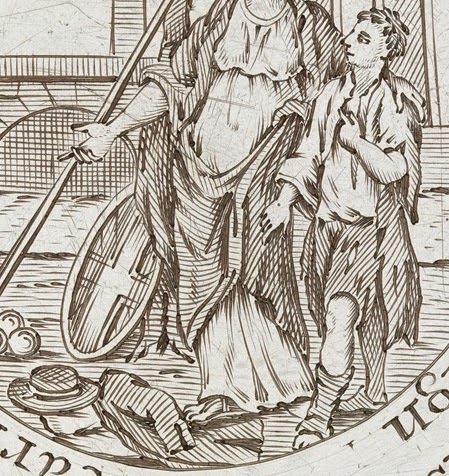 As with many images of the Marine Society, it features a female Britannia guiding a ragged child to clothing and a future of glory. At the feet of Britannia are the signature garments of ships' boys: a short jacket with at least one vent and mariner's cuffs, and a short brimmed round hat with a light ribbon around the crown.